Our neighborhood spotlight for April takes us out west to Elkhorn. Once an independent city located on the western edge of Omaha and named after the Elkhorn River, it was formed with the help of the Union Pacific Railroad plotting a new location in the late 1800’s until it was annexed by the city of Omaha in 2007. 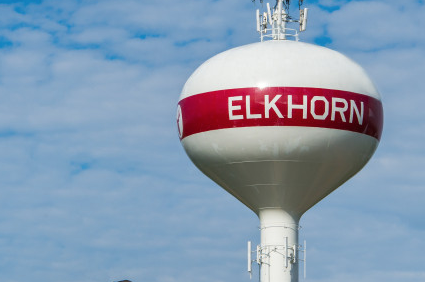 According to rdesk.com's community report the estimated population in Elkhorn is 17,071. Elkhorn Public Schools is the district serving Elkhorn and its’ surrounding areas. Originally the school district was composed of one high school which serviced the entire Elkhorn area, however in 2010 they opened Elkhorn South High School due to the growing population in Elkhorn after the annexation by the city of Omaha. The map shown below shows the boundaries for Elkhorn High (red in map), which homes north of Dodge Street fall into their boundaries while homes south of Dodge Street fall under Elkhorn South High School (purple in map). The general East to West boundary lines are 168th Street west to the Platte River. The North to South run from as far North as Bennington Road and as far South as Q Street however in all directions they cut in at some locations so it is important to check the boundary map to make sure you fall into the district boundaries. For more information please visit the Elkhorn Public Schools website. Private schools near Elkhorn include Mount Michael Benedictine and Skutt Catholic. 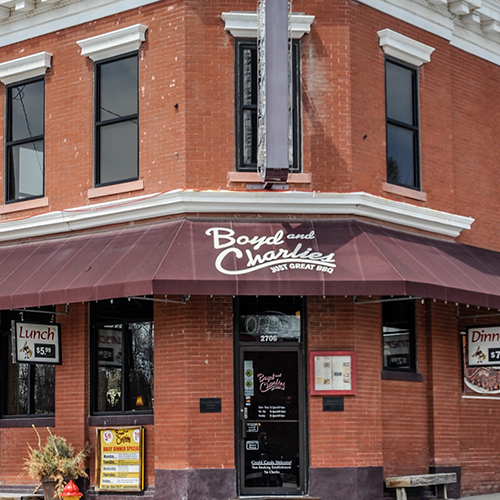 Even after the annexation, Elkhorn still provides that small town as the old main street is home to many local shops and restaurants including Boyd & Charlies BBQ, Dairy Chef, The Mark and Shevy’s Sports Bar & Grill. Elkhorn is now home to over 80 subdivisions and that number is growing every year. Those subdivisions include some of the older well-known ones such as Chapel Hill, Skyline Ranches/Estates and Winterburn along with newer subdivisions such as Five Fountains, Indian Creek, The Prairies and Ranch View Estates. Whether you’re looking for a $100,000 home or a $1,000,000 there is something for everyone in Elkhorn! Due to the large number of homes being sold in the Elkhorn school district we will provide a three month range of numbers for the market information. In the past three months homes have sold in Elkhorn at an average price of $461,312 and an average list price of $441,023. The average number of days on the market in Elkhorn is 45 days. The highest listing price in the last six months was $1,399,900 and highest sold price was $1,000,000. While the lowest listing price was $117,500 and the lowest sale price was also $117,500. Within the actual city of Elkhorn (previous boundaries before annexation) the average sale price in the last six months was $381,644, the highest sale price was $1,000,000 and the lowest sale price was $62,500 while average days on market was 49 days. If you are looking to buy/sell in the Elkhorn area please contact us at [email protected] as we would love to help you out!